Bakewell Bird Study Group’s next meeting on Monday October 13th is presented by John Lintin Smith of Sheffield who will be telling us about a Scottish Holiday he and his family took based at Bettyhill in the very north of Scotland. This lecture is an account of a naturalist on holiday with each day exactly as it happened visiting the more remote parts of the area to study, record and photograph the wildlife. 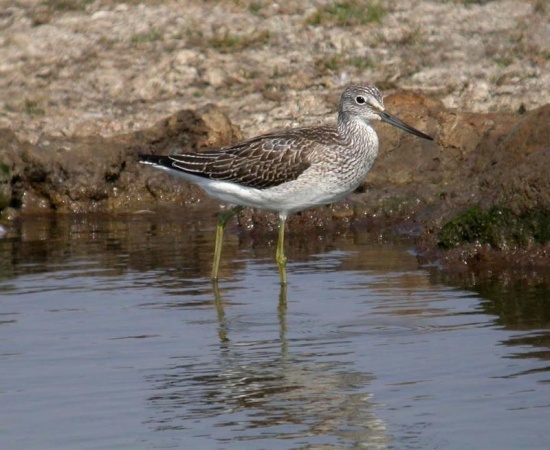 A visit to an old buzzard’s nest reveals a litter of wildcat kittens; hours are spent checking a greenshank (photograph below) nest so that the hatch, which occurred on a rainy day, could be recorded; the failure of nesting shags was traced to a family of hooded crows – these are just a few of the interesting encounters on this Scottish Holiday.